"Our water systems were neglected for decades, starved of needed investment to keep them better maintained and modernized,” according to the 12-year plan, released Thursday. Capital investments are planned out over the next five years. PWSA has endured numerous boil water advisories, broken pipes, complaints about its customer service and high-profile lead contamination in recent years. In the past several months, private companies have shown interest in taking over parts of its operation. The Pennsylvania Public Utility Commission [PUC] began oversight of the agency in April, and PWSA filed a more detailed look at its long-term infrastructure needs with the commission in September. 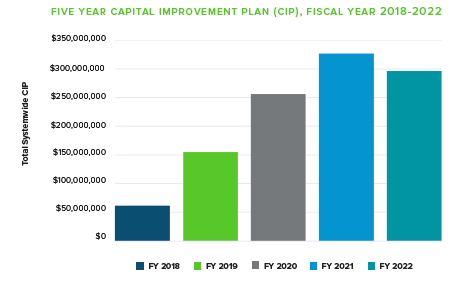 PWSA's capital spending is expected to rise for the next few years, totaling $1 billion over the next five years. PWSA acknowledges that frequent leadership changes led to many of its problems. The PWSA board hired Executive Director Bob Weimar in 2017 to stabilize the authority. PWSA officials believe its status as a public agency allows it to provide better service than a private company would. Unlike a private company, PWSA doesn’t pay for “exorbitant management salaries, multi-million-dollar marketing campaigns, or making a profit for shareholders or investors,” the report said. “Make no mistake: Pittsburgh’s water systems are YOUR water systems." Pittsburgh Mayor Bill Peduto and his administration have entertained offers to privatize part or all PWSA since late 2016. At the end of last year, his now-former chief of staff, Kevin Acklin, left his post in the administration to aid the effort by Peoples Natural Gas to take over PWSA. Acklin has since left the company for a job with the Pittsburgh Penguins. Over the summer, Peduto said he was waiting for PWSA to deliver its 12-year plan so that he could compare it to the offers and plans private companies have made. Once he had all of that information compiled, he said, he’d take offers from private firms more seriously. Peoples, for one, has been maneuvering to take on $1 billion of the authority’s debt in a bid to take control of the city’s water infrastructure. A representative from Peoples declined to comment on the report. Other companies, like Pennsylvania American Water, have also made offers to take over PWSA, and Peduto has said he’s heard from other companies as well. In Pittsburgh’s bid for Amazon’s second headquarters, the city included a proposal to use some of the tax money the online retailer would pay to replace PWSA’s lead lines. Amazon announced on Tuesday that it had chosen New York City and Arlington, Virginia as the locations of its dual-office second headquarters. Aly Shaw, an organizer for the Our Water Campaign for Pittsburgh UNITED, said PWSA’s new plan should put pressure on local leaders to support continued public ownership of the agency. "Now we have actual plan that people can respond to over the next 12 years,” Shaw said. "This means our leaders can make a choice to support the plan we all created together or continue this ongoing discussion where we bounce around from private company to private company about whether we should sell off our water to a private entity." Because PWSA is a public utility, the report explains that the utility can use public financing sources to keep rates down for customers and limit future costs. But the report doesn’t state how its spending plan will affect future rates for water customers. PWSA has asked for a 17 percent rate increase for the coming year but all of its future rate increases will depend on PUC for approval. Between 2001 and 2016, lead levels in Pittsburgh’s drinking water tripled, exceeding the Environmental Protection Agency’s threshold for taking action. The most recent test of lead levels in Pittsburgh water for the first half of 2018 were below EPA’s action requirements, but PWSA continues to replace its lead lines. Today’s report states that PWSA is on pace to replace all of its lead service lines within seven years. This is faster than estimates from September, Pickering said, because the state allocated $49 million in October to help pay for lead line replacements. 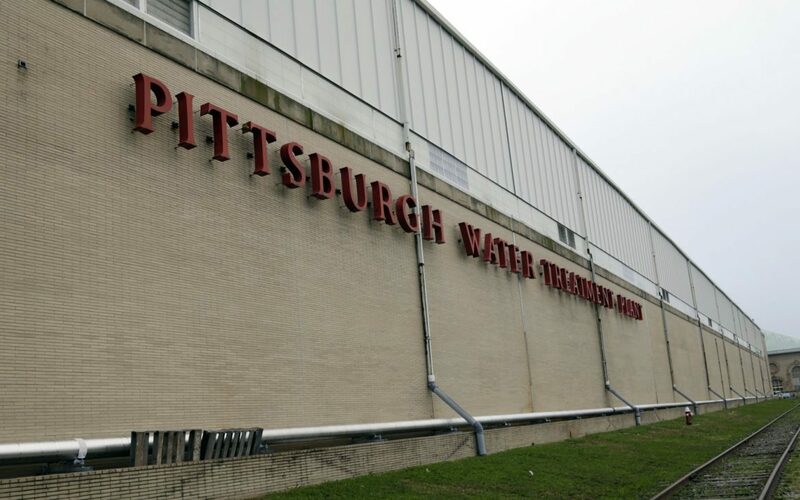 The $1 billion plan includes $120 million to renovate PWSA’s main water treatment plant near Aspinwall, including overhauls to its intake, treatment and storage equipment. The plan also includes more than $100 million in various repairs and replacements for drinking water pipes, pumps and reservoirs. The full cost of the projects is not accounted for in the current plan. Some projects are still being designed and the costs still aren’t certain, Pickering said. Shaw said one aspect of the plan that may go unnoticed is PWSA’s investments in green stormwater infrastructure. The new plan spells out more than $80 million for green infrastructure projects to reduce sewer overflows and flooding. This is the first time these projects have been laid out all together in one document, Pickering said. About half of that money will go to a single project in and around Schenley Park at Four Mile Run, where PWSA plans to divert stormwater from a lake in the park directly into the Monongahela River instead of the sewer system. These projects will buoy efforts by the Allegheny County Sanitary Authority [ALCOSAN] to reduce the amount of stormwater getting into the sewer. ALCOSAN plans to spend around $3.6 billion on improved infrastructure over the next 18 years to reduce the amount of sewage that is discharged into the rivers during rainstorms. Dale Shoemaker contributed to this report.